A must for every wardrobe and season is the infinity scarf, wear it out, wear it to work or snuggle up in one on the sofa. It’s light enough to wear for Spring and Fall but warm enough to keep you cozy in the Winter. And just what you need for the cool summer evenings too! Makes the perfect gift for any special lady. The ever changing night sky inspired this original print titled ‘Moon Phases’. The moons changing phases have been captured and dotted randomly to form this geometric print. 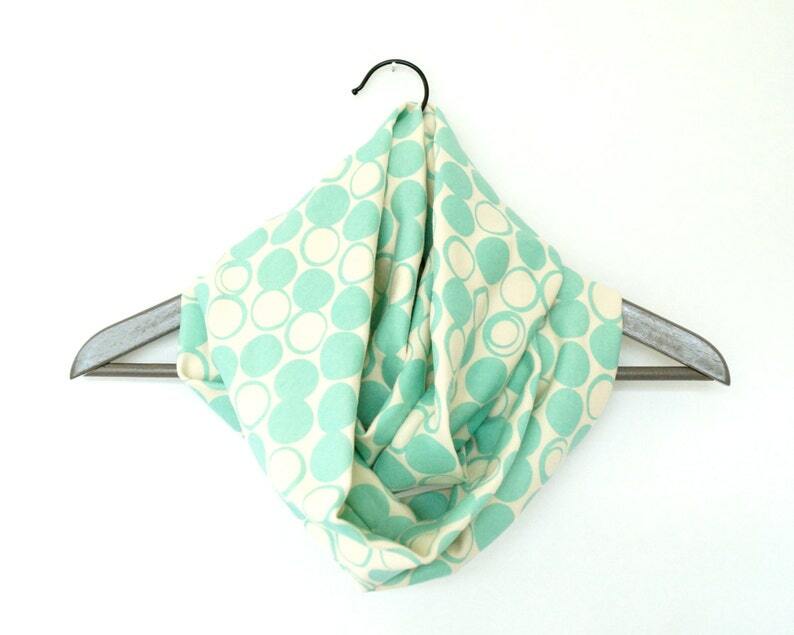 Shown here in a ‘Seafoam’ mint green.